Nine Dodgers players become free agents, including Kenley Jansen and Justin Turner. 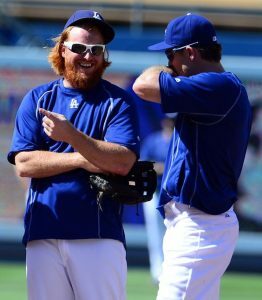 Kenley Jansen and Justin Turner are free agents as of today, along with seven other Dodgers whose contracts expired the day after the World Series: Rich Hill, Joe Blanton, Chase Utley, Josh Reddick, J.P. Howell, Brett Anderson and Jesse Chavez. A total of 139 players became free agents around MLB. That does not include Dodgers catcher Carlos Ruiz; the club has until Monday to exercise his 2017 contract option. Colleague Bill Plunkett has the details. Dodgers send Yasiel Puig, Josh Fields, Ross Stripling to minors. Update. With little ceremony, the Dodgers announced in a press release Tuesday that Yasiel Puig has been “sent to the minors.” Pitcher Josh Fields, who was on the roster of the Houston Astros’ Triple-A affiliate when he was acquired yesterday, and pitcher Ross Stripling have also been sent to the minors. As we reported earlier today, Stripling is expected to join the Dodgers’ Triple-A affiliate in Oklahoma City tomorrow. Zaidi said Puig is expected to be sent to OKC and be there by this weekend. Farhan Zaidi said Puig's demotion made more sense than DL, which was also considered. Zaidi said on the field performance was primary reason, but off the field behavior was also a factor in Puig's demotion. 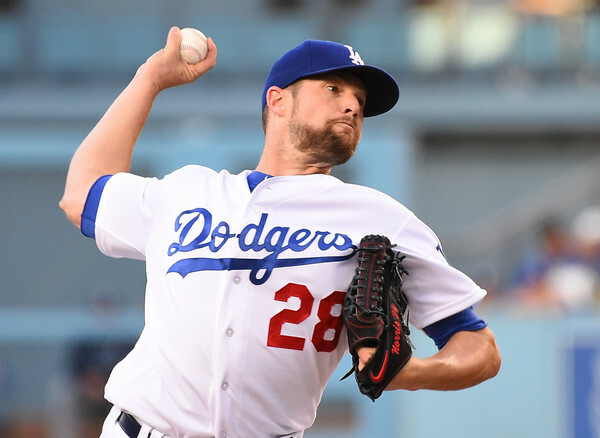 What roster moves do the Dodgers have to make today? Update. 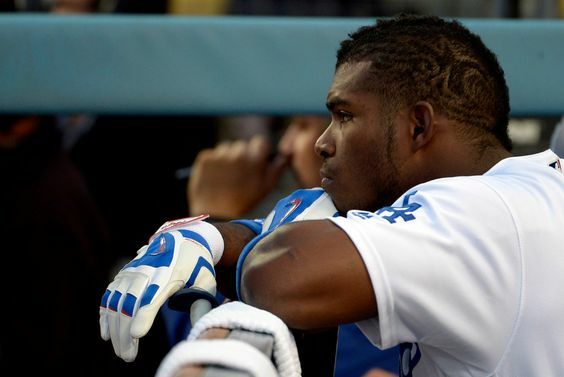 Technically, Yasiel Puig does not have to be sent to the minor leagues today. Doing so would amount to the Dodgers’ front office keeping its word, and that counts for something. It’s also unclear why Puig would not have a seat on the Dodgers’ flight to Denver on Monday if only for him to be in the clubhouse today. In any event, the Dodgers must make two changes to their 25-man roster. Outfielder Josh Reddick was on the A’s active roster when he was traded to the Dodgers on Monday, and pitcher Jesse Chavez was on the Blue Jays’ roster at the time of Monday’s trade too. Whose roster spots are those two likely to take? 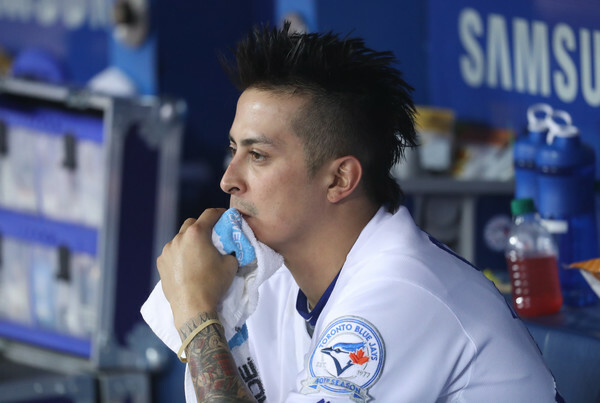 Dodgers acquire Jesse Chavez from Toronto for Mike Bolsinger. The Dodgers have acquired right-handed pitcher Jesse Chavez from the Toronto Blue Jays. Chavez, 32, has made 39 appearances out of the bullpen this season, going 1-2 with a 4.57 earned-run average. The Dodgers are sending right-hander Mike Bolsinger to the Blue Jays. Toronto also sent cash considerations to the Dodgers. Chavez is owed $4 million this season, while Bolsinger was owed $515,000, close to the major league minimum. Earlier Monday, the Dodgers acquired Rich Hill and Josh Reddick from the Oakland A’s for Frankie Montas, Jharel Cotton and Grant Holmes. Chavez is an alumnus of Miller High School in Fontana and Riverside City College.